Traveling paint parties: public and private paint-your-own canvas classes. 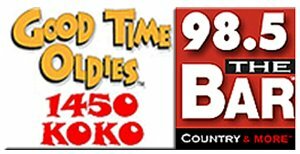 Playing Today's Best Country for all of West Central Missouri and around the globe at WarrensburgRadio.com! 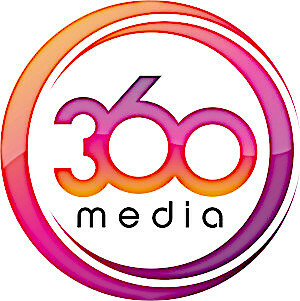 360 Media Co. will provide clients with digital materials and content to market and grow their business it its full potential. Our consultants, who know the local market, have first-hand business and advertising experience with proven capablilities. Our unique advantage is that we can work one-on-one, in-person, with clients to learn about their business culture and mission and develop a personalized program to fit their needs. We're not a cookie cutter marketing company that uses a singular approach to meet all clients' needs, but will use proven methods combined with our integrated knowledge to develop a marketing plan that drives clinets to your business. Our tech-savvy and sophisticated approach will drive potential clients to your business and demonstrate professionalism and innovation. We also offer a UCM discount. Family owned and operated, specializing in events and party rentals. We create an environment for fun. Inflatables, tables, chairs, tents, P.A., DJ, karaoke, outdoor movie theater, live music and more. Check out our inventory online! Action Realty Co has been the leader in real estate in Warrensburg, Whiteman Air Force Base, and the surrounding area since 1958. Contact one of our professional agents today and put our experience to work for you. Air Design Heating & Cooling is dedicated to providing the best possible solution for your home or business. You can count on us to provide you with a system and solution that fits your unique needs and since we've installed many systems in this area, we've earned a reputation for doing the job right the first time. Call 660-429-4800 and ask about our Planned Service Agreement! Open Monday to Friday 8 a.m. to 5 p.m.
Alewel's Country Meats is a meat market in Warrensburg, Missouri, and has been family owned and operated since 1932! All of our beef is USDA choice or above. It is naturally aged for 10-14 days to ensure quality. All of our meat is guaranteed to your satisfaction. Stop in and select a steak from our fresh meat case and taste the difference for yourself. Grandpa always developed his sausage from old German recipes, over 85 years ago, with a flavor so good we still use them today. Alewel's offers quality fresh meats at competitive retail prices, it's almost impossible to resist. We do catering, game processing and sausages for any one in need. Leave it to Alewel's Country Meats to deliver the best choice meats, prepared just the way that you like it! Visit alewels.com or call today for more information. Electrical contractor for Commercial & Industrial. Dr. Landwehr offers Board Certified Allergy and Asthma Specialty Care for patients of all ages, serving Central Missouri for 18 years. Allstate Consultants LLC is a full service civil engineering consulting firm offering design solutions for public and private sector clients across Missouri. Headquartered in Columbia, Missouri, with offices in Maceline and Lee's Summit, Allstate partners with clients to assist with all stages of project development. Since 1975, Allstate's innovative, solution-based approach has been applied to a full range of projects. 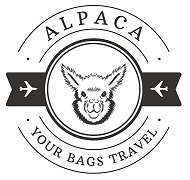 The Alpaca Your Bags Travel Mission: Our name is funny, but our service isnt. We plan amazing family vacations, romantic getaways and destination weddings in the Caribbean, Mexico and Hawaii. Ready for an escape? Alpaca Your Bags! Space: seats 340 without tables, 250-300 with tables, smaller events can also be done; also a small meeting room that seats up to 40 with tables, 55 without tables. Business hours 8:30-3:00 M-F (except holidays), available at any time for rental. Situated amongst four lakes on 75 acres, Arcadian Moon Winery & Brewery is truly a rustic paradise. Whether soaking up the views from the tasting room and deck overlooking the big lake with a glass of wine or a pint of one of our handcrafted beers, taking a relaxing walk on the grounds, enjoying live music on Saturday nights and Sunday afternoons, or savoring our mouthwatering wood-fired rustic Italian pizzas and made-to-order casual cuisine, once you're here you'll instantly be transported miles away from the hustle and bustle of the real world. 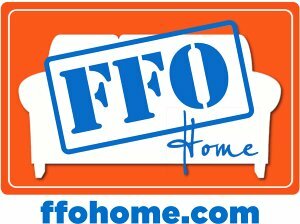 Missouri's largest furniture store. Serving the Warrensburg community for 27 years Arwood's offer the best selection and finest service for your home furniture and mattress needs. Full service florist, gift and home decorations. You dream it we can make it! We have flowers for all occasions! Lots of gifts and home décor as well. We're a technology company headquartered in beautiful Warrensburg, MO. We specialize in business-focused IT services, high-speed internet and government contracting. Our services span the gamut. We do: on-call support, networking, complex wireless, cloud, websites, hosting, email, IT planning, purchasing, project management, Internet, integrations, disaster preparedness and IT security. We also offer high-speed fiber services in select areas and high-speed rural Internet across Johnson County. Belmont Management Company (BMC) is a property management company that specializes in affordable and market-rate housing primarily within rural communities. BMC oversees a portfolio of over 6,500 units in approximately 124 rural and urban/mid-town communities/neighborhoods in Kansas, Oklahoma, Missouri, Texas, Colorado, Arkansas, Georgia and Alabama. BMC was incorporated in 2004 and remains in good standing in all states which it operates. We warmly welcome all visitors and hope that you will join us in worship and fellowship soon! Our website has the latest information about our active congregation, our beliefs and goals, and the many opportunities for worship and fellowship as well as personal growth. Exercise classes, quilting circle, choir, clubs, and youth groups. There is something for everyone at Bethlehem, especially YOU! Simplify the holidays! My Country Mart does the work for you offering Deli trays and specialty cakes. Visit our webiste to sign up for My Country Mart Rewards card and start earning promotional point today. The Blaine Whitworth Go Big or Go Home Foundation is a non-profit organization established to honor the life and works of Blaine Whitworth. Blaine had a passion for helping others and the three pillars of our foundation are to provide education resources to aspiring entrepreneurs, provide parks and recreation activities to benefit youth and communities, and to provide assistance and lend a hand up to veterans and those less fortunate. Are you tired of your typical crowded gyms? Not sure if what you're doing is working? Let us help you achieve your fitness goals in our clean 24 hour gym with the newest equipment available to you to help you lose those extra unwanted inches. Call us today for your FREE consultation to start your journey to creating a fitter, healthier, lasting lifestyle change. Bread of Life is a Christian-based bookstore that offers a wide range of gifts. We offer everything from Bibles and devotions, to children's books and toys, as well as gifts and cards for all occasions. Break Time is the one-stop destination for anyone on the go. We serve Smokestack Bar.B.Q, Hunt Brothers Pizza, fresh breakfast sandwiches and some of the best coffee you will find! Our fuel is Top Tier, which means it's got more additives than most and will burn cleaner in your engine. Our staff is genuinely friendly and will go out of their way to prove that not all convenience stores are the same. Bukaty Companies is an insurance brokerage firm that works with employers on their employee benefits. Your benefit plan should be tailored to meet your unique needs. We take into consideration your company size, culture and financial objectives when developing a long-term strategic program. We work with businesses from 2-15,000 employees and deliver service with expertise. "It’s not what we do to earn your business that’s important, it’s what we do to keep it." C&C Mechanical, LLC is a small family owned business with long standing ties to the local community. We are proud to provide “clean and courteous” plumbing service to residents and businesses from Kansas City to Sedalia. Senior citizens and active duty military members receive a 10% discount. It’s also our pleasure to offer families of deployed military members a free, in-home visit to diagnose problems and estimate repairs in addition to the 10% military discount. We are a privately ran and licensed organization charity that helps animals. We operate our own no-kill animal shelter that is run 100% by volunteers and donations. If you, or a veteran you know, is homeless or in immediate danger of homelessness, Catholic Charities can help. Our professional, compassionate case managers help you find housing or prevent eviction first. But, our work doesn’t stop there. We offer an array of supportive services to help you stabilize and return to successful independent living: one-on-one case management, short-term assistance with rent and utilities, employment education and job search assistance, housing counseling, assistance with VA benefits, obtaining and coordinating with other benefits. We are a non-profit agency serving people with disabilities. Specifically my program works to find competitive employment in the community for people who have a variety of disabilities. Your local partner since 1983, First Central Bank offers the latest advancements in customer service with Online Banking, Mobile Banking, Mobile Deposit, and a full range of business banking solutions. Additionally, First Central Bank continues to proudly offer Military discounts on checking accounts and mortgage loans and has been voted one of the Best Banks in America by Forbes for the past four years as part of Central Bancompany. Central Family Medicine is located in Warrensburg, Missouri and provides quality medical care for the entire family in the Warrensburg and surrounding area. Looking for a better way to manage your finances? Different options for financial services? Come visit us, call or visit www.CMCCreditUnion.org to discover what a wide selection of financial services we offer. People Helping People - It’s Who We Are! Federally insured by NCUA. Earl and Susan Walls reopened Central Missouri Speedway (CMS) in 2014 and have owned the speedway for 25 years. CMS Weekly racing takes place on Saturday nights from April to September in five divisions: 'Mighty' Modifieds, Street Stocks, Mod-Lites, B-Mods, and Pure Stocks. 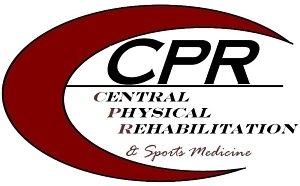 Central Physical Rehabilitation and Sports Medicine is an outpatient orthopedic physical therapy clinic with a combined 45 years of experience. CPR has been locally owned and operated since 2004. Chamber Discoveries, Adelman Travel Systems Inc.
We are a certified public accounting firm providing audit, consulting accounting, tax preparation, payroll, business valuation, Quickbooks, and other services to clients in Kansas and Missouri. Mission Our mission at Old Drum & Friends Animal Shelter is to provide a safe, healthy, and loving environment for our animals, match the perfect forever home for both the animal and adopter, and offer exceptional community involvement opportunities. Animal Control issues ​For Animal Control Issues, please call non-emergency dispatch at 660-747-2265. I am a member of the City Council. The Council oversees the operations and budget for the city. The City of Warrensburg will strive to provide a safe, comfortable and prosperous environment in which to live, work, and learn while delivering a high level of service. City of Warrensburg, Community Development Dept. Oversee & manage the Community Development Department for the City of Warrensburg including Planning, Zoning, Building Codes and Permits, Property Maintenance and Nuisance Code Enforcement. The Director of Finance for the City of Warrensburg manages City funds and related fiduciary controls, performs hands-on financial preparation and calculations, plans, directs, organizes, communicates, and controls all City fiscal and financial operations, including direction and work assignments of Finance Department staff. The Director serves as Chief Financial Officer for the City and Financial Policy Advisor to the City Manager. The Fire Chief for the City of Warrensburg is also the emergency manager for the City. Chief Kushner oversees the firefighters and makes sure they are prepared to respond to the community’s needs. As the emergency manager, he also makes preparations for large scale disasters such as snow storms or tornados. His office educates the public about ways to prepare in case a disastrous event strikes Warrensburg. The Human Resources Director for the City is responsible for the administration of personnel policies, benefits, work comp, recruitment and maintaining personnel records, and is involved in the training and development process for all City employees. The Director of Public Works manages these areas for the City of Warrensburg: Sunset Hill Cemetery, buildings and grounds, streets, wastewater collections system, wastewater plants and lagoon, public works administration, wastewater billing utility rates, recycling bins, and cleanup programs. Ranked #1 Comfort Inn nationwide in 2017, 2018 and 2019! Comfort Inn Warrensburg Station, a Warrensburg hotel near the University of Central Missouri. Located just off of Highway 50, our Comfort Inn® Warrensburg Station hotel in Warrensburg, Missouri is near the University of Central Missouri, historic Warrensburg and the Whiteman Air Force Base. Compass Health Network includes Pathways Community Health, Crider Health Center and Royal Oaks Hospital. Together, these nonprofit organizations provide a full continuum of health care services including primary, behavioral and dental throughout Missouri and Louisiana with a focus on treating the whole person. Comprehensive medical and surgical foot ans ankle care for the entire family. Cornerstones of Care provides an array of quality prevention, treatment and support services to children and families in Missouri, Kansas and beyond. Our key services are education, mental and behavioral health, foster care and adoption, youth support and community training. We strive to affect positive change, give a stronger voice to those in need, raise awareness in our communities and deliver a fully integrated approach to care. Est 1979 serving 24/7 breakfast, lunch and dinner. Perfect bite salad & soup bar, kids menus and senior menus. Paw Menu, pet friendly patio. Crossroads Hospice is dedicated to providing hospice services with integrity, emphasizing exceptional quality care of patients and their families with distinction. As the industries leader in hospice care for the past 15 years, Crossroads has developed an end-of- life care program unlike any other. Our approach is completely holistic and our team is 100% dedicated to giving you MORE! Curtain Up Theatre Tours is owned and operated by Dr. Richard Buzz Herman. We offer theatre-based trips to New York City, London, Chicago, Canada and the Oregon Shakespeare Festival. Here at DQ Grill & Chill we offer all sorts of delicious Treats like cones, banana splits, and our famous Blizzards. For Eats, we serve a great variety of american style food from our Grillburgers & Fries to our Quesadilla & Chicken Strip Baskets. If you are feeling the need to stay healthy you can also choose from our selection of tasty Orange Julius and Smoothies! Dave's Auto Sales offers easy financing for quality pre-owned cars that come with a 3yr/36,000 mile limited warranty. Diehl Tire and Automotive Center, now a full service automotive shop, specializing in tires, exhaust, brakes and alignments. We carry new and used tires, with over 100 Bridgestone and Firestone Tires in stock. A Bridgestone Affiliated Retailer. We also accept the Bridgestone and Firestone Credit Card. Technicians that SHOW you what's wrong, not tell you! Stop by & see us today! Dugan's Paint & Flooring Center can help you with all your decorating needs from floor covering to paint to window coverings to wallcoverings. Gift certificates available. Military Discounts Offered. Our professional staff works hard to make sure that you and your family are comfortable and well cared for in our state of the art medical facilities. Edward Jones helps clients achieve their financial goals by understanding their needs and then recommending and implementing customized solutions to meet those needs. Starting the process is as simple as answering a few questions to help determine what's important to you. Contact Kathleen today to get started. Whether you want to plan for retirement, save for college, reduce your tax bills or ensure you have income cover your expenses, we can provide personalized service and investment strategies that have proven themselves over the long-term. Let's discuss your goals during a financial review. Contact Alan today. El Monterrey is casual eatery dispenses jumbo margaritas & a wide variety of Mexican-American platters. Enbridge is a leader in the safe and reliable delivery of energy in North America and is proud to be recognized as one of the Global 100 Most Sustainable Corporations in the world. We transport energy, operating the world's longest, most sophisticated crude oil and liquids transportation system. We have a significant and growing presence in the natural gas transmission and midstream businesses, and an increasing involvement in power transmission. We generate energy, expanding our interests in renewable and green energy technologies including wind and solar energy and geothermal. We distribute energy, owning and operating Canada's largest natural gas distribution company, and provide distribution services in Ontario, Quebec, New Brunswick and New York State. A specialized, high quality battery manufacturer. 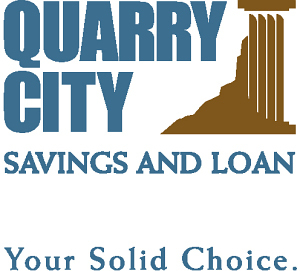 Equity Bancshares, Inc. is a bank holding company with headquarters in Wichita, Kansas. Our wholly-owned banking subsidiary, Equity Bank, provides financial services primarily to businesses, business owners and individuals through our network of 42 full-service branches in Arkansas, Kansas, Missouri, and Oklahoma including the Wichita, Kansas City, Tulsa, and Topeka metropolitan areas. Founded in November 2002 in Andover, Kansas by current Chairman and CEO Brad Elliott, our Company expanded into Wichita in 2005, Kansas City in 2007, Western Kansas in 2008, Topeka in 2011, Western Missouri in 2012, Southeastern Kansas in 2015, Arkansas in 2016, and Western Kansas, Ponca City, Oklahoma, and Tulsa, Oklahoma in 2017. Our principal objective is to increase stockholder value and generate consistent growth by expanding our commercial banking franchise organically and by acquisition, while serving as a home for seasoned bankers, businesspersons, and customers with an entrepreneurial spirit. We strive to provide an enhanced banking experience for our customers by providing them with a comprehensive suite of sophisticated banking products and services tailored to meet their needs, while delivering the high-quality, relationship-based customer service of a community bank. Expanding Horizons is an agency that provides support to individuals with intellectual disabilities. Our focus is to assist people to achieve their highest potential and learn skills that help them become a greater part of their community. 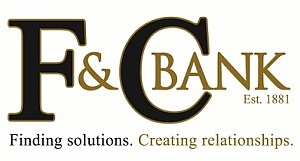 Since 1881 F&C Bank has provided banking services for area individuals and businesses, partnering in making it possible for our community to grow and prosper. Over this long stretch of time we have gone from the horse and buggy era to instant communication and account information via the Internet. One thing has remained constant throughout the many changes brought about by progress and technology we know you, our customer, and pride ourselves in delivering convenient, personal service. 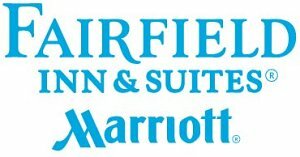 Whether traveling for business or pleasure, Marriott Fairfield Inn & Suites Warrensburg provides everything you need to make the most of your stay. Conveniently located at the Intersection of Hwy 50 and Maguire, we're just minutes away from UCM campus, Whiteman Air Force Base and everything Warrensburg has to offer. We offer modern guest rooms and suites, FREE delicious hot breakfast, 24/7 lobby market, business center and fitness facility, indoor swimming pool, FREE high speed Internet, and a knowledgeable and helpful staff. We have everything you need to WORK, EAT, REST, and BE WELL! David Sheehan develops & delivers comprehensive financial plans & solutions to assist individuals & families in their efforts to reduce debt, build wealth & pursue their financial goals. Fitter's Pub of Warrensburg, MO is the area's go-to place to relax, eat a good meal, and have a good time. They take care of their customers like they are family. They are a locally-owned and operated pub who serves the Whiteman Air Force Base, the University of Central Missouri, and all of Warrensburg, MO. Fitter's Pub has been your home away from home in Warrensburg, MO since 1996. FJC Apartments are one and two bedroom units within walking distance to the UCM Campus. Located on the south end of Warrensburg also makes for easy access to Whiteman Air Force Base. Two full-time, on site staff provide prompt and courteous service. 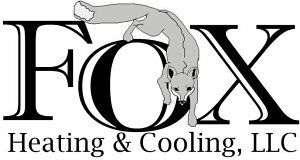 Arcoaire, Lennox & Carrier brands of furnaces & air conditioners. Service all brands. Heatilator gas fireplaces. Buck woodburning stoves & inserts. Signs, banners, electronic message centers, vehicle wraps, monument signs, billboards & illuminated channel lettering. Escape to a romantic getaway at Gelbach Manor and make it your home away from home! Our exceptional service and amenities will make your vacation memorable and our affordable rates will entice you to make Gelbach Manor your favorite destination. With its 4 themed rooms, pool, hot tub, two patios and a large gathering room, The Manor is designed to offer relaxation and rejuvenation from a busy lifestyle. When staying at our establishment, anticipate our famous Midwest hospitality, exquisitely arranged rooms and unparalleled comfort. Situated in the heart of Warrensburg, Missouri, Gelbach Manor provides easy access to historical places, downtown area, and UCM sports events. Specializing in Certified and Canadian Diamonds.We have the largest selection of jewelry in west central Missouri. We offer on-site repair and custom design by our Master Jeweler. 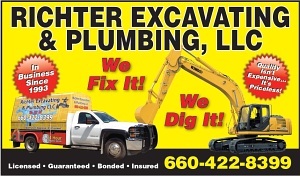 Locally owned and able to fulfill our customers’ needs. Glinn Design offers comprehensive architectural and interior designing and building services for commercial and residential clients. Whether doing a small scale cosmetic renovation, new addition to an existing structure, or stand alone building, we'd love to help! Harmony Gardens Assisted Living by Americare is currently located in the hub of the Warrensburg Medical district. Our passion is helping families find just the right fit when seeking long term care and peace of mind for their loved ones. Need an occasional helping hand? Don't want to live alone? Harmony Gardens assisted living offers just the right touch of care, companionship, and comfort. We handle the everyday, so you can enjoy every day. When the demands of living in your home require more than you're willing and able to give on your own, you'll find a welcome home with us. We believe in exercising just the right touch, one more felt than seen. Come see for yourself. You'll be surprised at how comfortable you feel. Come experience the Americare difference. The Missouri State Association of Parliamentarians (MSAP), a division of the National Association of Parliamentarians (NAP), is an educational organization committed to providing instruction and opportunities in parliamentary procedure for groups and individuals. It offers an annual educational seminar and supports its units that meet at different times and locations throughout the state. Serving the customers of Warrensburg for over 36 years. Voted best burger and fries in town. Home to the famous Unknown Hero. Hidden Pines Country Club is located on the outskirts of Warrensburg, Missouri. It prides itself in offering entertainment for all ages of the family. Situated at the western edge of Warrensburg, it is located only 45 minutes from Kansas City. Hidden Pines boasts an elite 18-hole championship golf course that will appeal to all levels of play. It features 6,308 yards of golf from the longest tees for a par of 71 . The course rating is 71.3 and it has a slope rating of 126. The grounds of the front and back holes vary from wide and open to wooded and rolling. The long and narrow Bermuda grass fairways will require your utmost precision, and the undulating bent grass greens will have you second-guessing yourself. All skill levels from the most experienced to the beginner will be challenged to conquer the links. Home Rentals & Management is a property management company that manages property for over 100 owners and 540 units. Potential renters can view properties and if they find one they like they are charged an application fee of $20 for a credit check. Collection of security deposits, rent payments and maintenance calls are handled by Home Rentals. The office is open Monday through Friday, 9:00 AM to 5:00 PM. Real Estate is MY Passion and YOU Are MY Priority! Call me to see what your home is valued at or view a home! We are always here to help! Residential real estate, land real estate or commercial property for sale - we can help you find what you are looking for! Homes for Heroes helps our nations heroes by providing significant savings during the real estate process. It is the largest hero saving program in the country which provided discounts to active duty military and veterans, law enforcement, firefighters, emergency medical professionals, teachers and health care workers when buying, selling or refinancing a home. We believe that service deserves its rewards. HS Business Services takes care of details so you don’t have to. Small business owners, be freed from struggling with bookkeeping, payroll or tax reporting tasks yourself, and focus more on growing your business! Certified Bookkeeper, QuickBooks ProAdvisor, IRS E-file provider & AFSP. Retail signage; custom signs; awnings, vinyl wraps, electronic message centers; interior and exterior. Specializing in residential roofing, siding, windows, gutters, and doors. Insurance work welcomed. 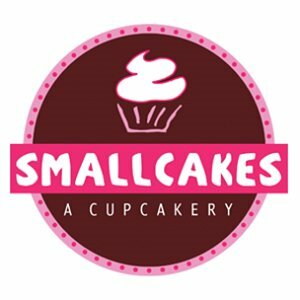 A local small business supporting other local small businesses! J.W. FRANKLIN CO. is a Broker, Owner & Developer of income producing properties, shopping centers, office buildings, & commercial sites in Missouri and Arkansas. J.W. FRANKLIN CO.: Solving problems & serving the commercial real estate needs of corporations and individuals through the following specialized services: *Buyer Representation *Seller Representation *Leasing Services *Site Selection Consulting Services *Counseling Services *1031 Time-Delayed Exchanges. Auto/light truck service, auto repair, road service for farm and truck. Jimmy John's provides the world's greatest Gourmet Sandwich. Bread is baked in-house every day and served fresh. Meat and veggies are sliced fresh in-house every day. The turkey is real turkey, the roast beef is real roast beef - no additives, no vegetable-based fillers, no fake stuff. Nothing is delivered pre-sliced. Real Hellmann's mayo, real Grey Poupon, real olive oil and red wine vinegar - it's the best of the best! 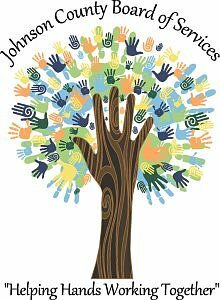 The mission of the Johnson County Board of Services is to provide services to Johnson County citizens with developmental disabilities, and their families, to improve the quality of their lives through increased self-sufficiency and to foster integration into the community. We manage residential group homes, offer employment opportunities, operate an adult day program, provide transportation, employ personal care attendants, and provide targeted case management to help ensure that individuals are receiving the services they deserve. As the local public health department for Johnson County, we offer immunizations, health education, STD testing, pregnancy testing, WIC nutrition services, environmental health inspections, and birth and death certificates. Additionally, we provide nursing and therapy services in the home through our Home Health and Hospice programs in Johnson and Lafayette Counties. 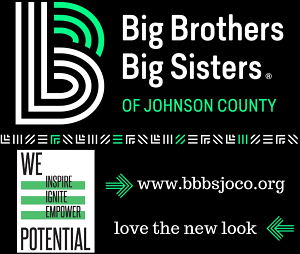 The Johnson County Economic Development Corporation will enable economic development initiatives, facilitate community cooperation & assist groups & individuals in their pursuit of local development opportunities to enhance our county's quality of life. We are a non-profit organization that was organized to establish and maintain a centrally located county fairgrounds. We provide facilities at an affordable cost for youth or community activities, including 4-H and FFA, related to educational, agricultural, charitable or recreational purposes. We help organize the county fair, and host a rodeo every fall. Our facilities are available to rent for weddings, reunions, horse and livestock shows and other events. The Johnson County Historical Society is a 501c(3) non-profit organization which maintains the Mary Miller Smiser Heritage Library & Museum and the historic buildings on the Old Courthouse Square in Warrensburg, MO. Archives of original county records dating from 1834 are housed here. Image The Old Courthouse (1838-1871) still stands, carefully restored, in its original location on Main Street. The period courtroom and upstairs offices pay tribute to the brave pioneers who built it. The Trial of Old Drum, where George Graham Vest’s Eulogy on the Dog was delivered, took place in this courthouse in 1870. It is funded by membership dues, donations and sales of publications and other items. We print, design, and mail all in house. Anything from business cards & brochures to full color catalogs & banners with dedicated sales person to help you design as well as deliver printed materials. Student discounts offered. Karen Godfrey was raised and educated in Warrensburg. 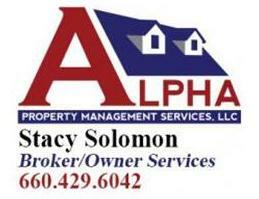 She is very excited to be working in the real estate business as she enjoys sharing the many resources that Key Realty offer their clients in searching for a new home or selling a home. Call Karen to help you find your new home! Key Realty, purchased by current ownership in 1977, has sold an incredibly large number of homes, lots, and investment properties in the Johnson County area over the years. Key Realty has always maintained a sales staff of experienced knowledgeable Realtors. Key has also sold a huge number of commercial properties around Warrensburg over the past 40 years. Consistency is what you'll find. The same Broker since 1977 in the same location on East Russell Road. Key Solution Services provides independent reviews, group facilitation services, retirement planning seminars, and web content development for businesses and organizations. Let us help your organization unlock its potential! Enjoy authentic Cantonese cuisine and fine dining daily at King Chef. Tony's job is to seek out businesses and corporations to support programing on KMOS-TV Central Missouri's Public Television. KMOS-TV is the central Missouri PBS that provides television that engages, educates and inspires! Knob Noster State Park is a tranquil retreat of open woodland with a few patches of prairie along both sides of the meandering Clearfork Creek. It's a place for anglers to wet a line, for mountain bikers, hikers and horseback riders to get some trail time, and for families to spend quality time together. LammTech is a strategic business partner that provides integrated information technology solutions to small and midsized businesses across Missouri. These solutions include 24x7 IT maintenance & support, hardware & software solutions, virtual CIO consulting, and technology management services. LammTech is your single point of accountability for all your technology needs. Direct Mailing Publication - seven times a year. 5% discount off of regular priced Science Diet/Prescription Diet Food. Cannot be combined with any other discount. Vision To be a community movement designed to assist those who are financially challenged, or living in poverty; establishing sustainability amongst those in need through networking efforts, relationship building and the personal investments of our supporters. Mission Develop and implement a model community program, through Manna Harvest, that can be reproduced throughout the Johnson County area; encouraging self-sufficiency and improving the quality of life of those we serve. Provide meals to the hungry and distribute food throughout our communities, while educating the public about the nature of hunger and poverty, as well as solutions to these problems. The Movement A team of local communities, churches, government, business and non-profits organizations working together for the common purpose in sharing a vision to minimize poverty. Thereby enhancing the wholeness and wellness of the people within the local communities. We are a group of community volunteers who work to help alleviate hunger by unconditionally providing free meals and a sense of community daily in a supportive atmosphere. Community Our purpose is to serve as a catalyst for community-based initiatives that focus on the transformation of those who are financially challenged, or living in poverty. Our ultimate goal is to enhance the lives of our patrons by connecting their needs with services that enable productivity and promote growth within their communities. We envision a community where no one goes hungry for lack of food or funds; where a good meal is a nutritious meal; where our community learns to steward natural and financial resources wisely; where we make opportunities available to those who seek them. Marathon Building Environments has been locally owned and operated in Columbia, Missouri since 1987! We take pride being the sole authorized Steelcase Commercial Furniture dealership in Central Missouri. Marco is a leading technology services company that specializes in business IT services, cloud services, managed services, telecom carrier services, copiers/printers, phone systems, document management and audio/video systems. Mary Kay is a beauty company that offers assistance with your skin care and cosmetic needs. Also offers personalized skin care and cosmetic events. Meyer's Market is a general store with gifts, candy and groceries. We offer old-fashioned candy, toys, kitchen items, local farms' meats and produce and much more! Founded in 1982 as a small Sedalia, MO typewriter company, Midwest Computech has transformed into an innovative and renowned IT support specialist dedicated to providing expert IT help to every industry. With over 35 years of attention and care, Midwest Computech has a proven record of providing quality products and services to businesses and organizations nationwide. Our consulting and IT solutions teams are designed around a culture of success- yours. We work closely with your teams to deliver innovative strategies and solutions that help your organizations drive operational efficiencies, improve the end user experience, and increase profitability. Our Mission To serve our clients as their trusted IT advisors by delivering innovative IT solutions that increase productivity and enhance client success. Mike Keith Insurance is a well-established agency with a local presence. Specializing in Employee Benefits strategy and planning, we are a full service agency offering group medical, dental, vision, life, disability, and supplemental benefits. We are large enough to understand your employees’ insurance needs and solutions, yet small enough to personalize your service on a local level. With over 40 years combined experience, the MKI team provides the experience and expertise needed to implement a completely customized benefits package for business. Stop by or call our LOCAL office. 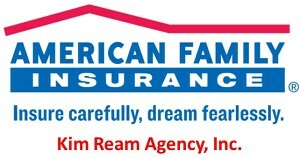 An Independent insurance agent licensed in Auto, Home, Life, Health and Commercial. Born and raised in Warrensburg and committed to seeing Johnson County grow and prosper. Come see me for all your insurance needs and LOVE WHAT’S LOCAL! An Independent Insurance agent licensed in Life and Health, with a focus on customizing benefit options for employers and evaluating the individual needs of their employees. Call me or come by our office and see why its good to LOVE WHAT’S LOCAL! Miller & Sons BBQ has been serving great BBQ to the Warrensburg, MO, area since 2007. Starting as a small catering service, Miller & Sons BBQ quickly grew to be one of the best BBQ restaurants in Missouri. With a family friendly atmosphere and slow cooked meat, you are guaranteed to enjoy the best BBQ, ribs, or brisket you've ever tasted. 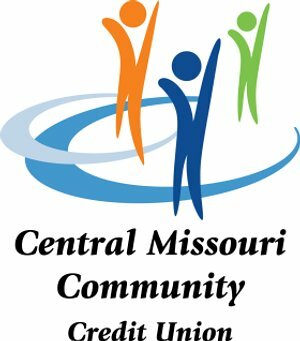 Missouri Job Center is a part of the Missouri Division of Workforce Development. EMPLOYERS: Let us be your partner for recruitment assistance, posting employment opportunities, and finding the right programs and incentives to help your business grow. We are happy to help and all services are provided at no cost! JOB SEEKERS: Our staff actively work with you to identify career goals, and discover and improve job-related skill sets using jobs.mo.gov. Come check our unbeatable services or attend one of our many workshops. Specializing in light weight trailers- we carry nuCamp, LivinLite campers, and The Flyer by inTech. We rent from February 1 to November 30! Community Action Agency works with Johnson County citizens who are in poverty. Office cleaning, residential move-out or one-time clean. Office/janitorial service provided. Weekly, daily or monthly as needed. Insured/licensed/bonded. We love to make you shine. Montserrat Vineyards and Winery is a family owned vineyard in Knob Noster featuring award winning wine. Sitting a top the highest point in Johnson County, join us for beautiful views and an unforgettable evening. 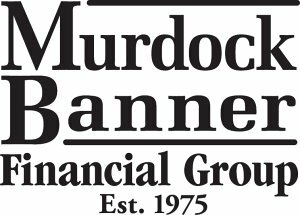 Murdock Banner Financial Group is a financial services firm committed to helping our clients improve their long-term financial future. Our unique, team approach to planning with our customized programs are designed to help invest and conserve our clients’ wealth while delivering an unprecedented level of personalized care. Mark Banner, Craig Coen, Chad Appleton and Carla Curry are Investment Advisor Representatives offering securities and advisory services through Cetera Advisors LLC, Member FINRA/SIPC. Cetera is under separate ownership from any other named entity. Real Options. Real Help. New Beginnings Women's Center is a safe place for you to get factual information about your pregnancy options to make an informed choice. All of our services are confidential at no cost to you. Nightwatch Security and Telephone, LLC. has been serving West Central Missouri for over 35 years. It was founded in 1980 by Jeff Kesterson, who owns and operates the business today. We are experts in the design, installation, and maintenance of security, fire, and digital video surveillance for your home or business. We also specialize in medical response systems and business telephone communication systems. Serving quality coffees, hot and cold drinks, and bakery items made fresh in small batches on site. Old Drum Real Estate is a full service brokerage offering residential, commercial, and property management services. 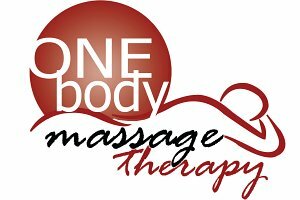 One Body Massage Therapy is a professional massage therapy clinic in downtown Warrensburg. Licensed massage therapist David Kopp provides therapeutic services to give clients a variety of health benefits. His goal is to tailor your experience, based on initial interview information as well as feedback during the massage, to insure your comfort and satisfaction. We are a service club whose mission is to be a "Friend of the Youth". We sponsor various youth-orientated activities in the community. Meetings are held on the 1st and 3rd Thursday of each month at 7 PM at the Johnson County Sheltered Workshop café. Internet connectivity, DSL, dial-up, wireless, web-hasting, hosting and other internet related services. We sell a full line of truck and car accessories including spray on bedliners, diesel performance, lift kits, wheels and tires, and much more. Dealer for Ranch Hand, Fab Fours, Road Armor, Edge, Banks, Smarty, Quadzilla, MBRP, Westin, Reflex, and more. We also install everything we sell. Pay it Forward Consulting provides a wide array of business leadership training and personal growth programs built on principles of John Maxwell. Additional services include True Color personality assessments, as well as DISC assessment designed to help a person become aware of their behavioral traits and others. Furthmore, Pay it Forward teaches suicide intervention to foster comprehensive psychological health and safety management. PCMR, LLC offers computer services for consumers and businesses in the Johnson County area. We are a mobile business providing free pickup and drop off for all our services. If you want fast and quality computer services at a fraction of the cost of our competitors, give us a call at (660) 864-0039 or email us at maxr@pcmrcomputers.com. Penmac is a full service staffing agency to include temporary, temporary to hire and direct hire. At Photo Gym, we focus on providing solutions for saving, sorting, securing and sharing print and digital photos. 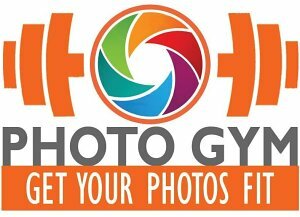 We offer classes and personal training as well as services including photo organization, photo book design, video slideshows, scanning prints, retouching and restoration, converting VHS tapes and more. We can accommodate custom design or project requests. Please visit our website for details and more information. The Pioneer Trails Regional Planning Commission serves as a cooperative of the local governments of the four county regions to coordinate and prioritize the community development needs of the region. We make pitas just the way you like them. Fresh ingredients, tasty combinations and big, bold flavor. Bite into food that's as unique as you are. At Pizza Hut, we don’t just make pizza. We make people’s days. Pizza Hut was built on the belief that pizza night should be special, and we carry that belief into everything we do. What’s our purpose at Pizza Hut? Moments of Excitement. All made possible by our flavor, innovation and, most importantly, by unlocking potential in our team members. With more than 55 years of experience under our belts, we understand how to best serve our customers through tried and true service principles. Instead of following trends, we set them. We create food we’re proud to serve and deliver it fast, with a smile. We strive to create a workout environment where everyone feels accepted and respected. That’s why at Planet Fitness Warrensburg, MO we take care to make sure our club is clean and welcoming, our staff is friendly, and our certified trainers are ready to help. Whether you’re a first-time gym user or a fitness veteran, you’ll always have a home in our Judgement Free Zone. More than just great food! When fresh ingredients meet great service, you’ll know you are dining at PLAYERS Restaurant. We have offered Warrensburg, MO a dining experience to remember since 1985. Prices are comparable to lesser establishments. Visit us today for delicious food and a great time. 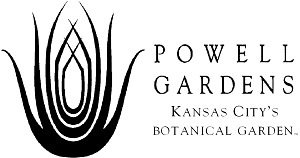 Powell Gardens, Kansas City's botanical garden, is a nonprofit year-round attraction located just west of Warrensburg. Set on 970 acres of lush, rolling hills and windswept meadows, the Gardens offer breathtaking display gardens, renowned architecture, a nature trail, special events and festivals, classes for the entire family, and the Heartland Harvest Garden, the nation's largest edible landscape. The Gardens and Chapel can be rented for weddings, receptions, ceremonies, business outings and other private events. Our goal is to provide high quality agents who can provide the top service to their clients. In turn allowing clients to enjoy the process of buying and selling a home. Looking for a luxury home, small farm, a place to retire or a first home? We have a full-time agent ready to assist you in your real estate needs. We serve the Warrensburg and Whiteman AFB areas, assisting our military transfers and civilians with our extensive relation worldwide network system. We are also the first paperless office in the area! We are open Monday through Friday, 9 AM to 6 PM, and Saturday, 9 AM to 12 PM. Evening appointments and Sundays by schedule. RibCrib continues to serve amazing sauces, original rubs and mouth watering meats smoked the old- fashion way (on-site at every restaurant and served with the perfect smoke ring). At heart , though, we're still all about the food and friendliness of your neighborhood "BBQ joint" and we believe you will find our staff as friendly - and our food as delicious - as when we started back in May of 1992. UCM Dining Dollars accepted. RISE employs a team of diversely abled individuals who do work that is meaningful and valuable. We are professional problem-solvers, expert in hands-on assembly, packaging, collating, labeling, and production. Let our flexibility, creativity, reliability, and efficiency go to work for you! Tunnel car wash, proving great customer service. 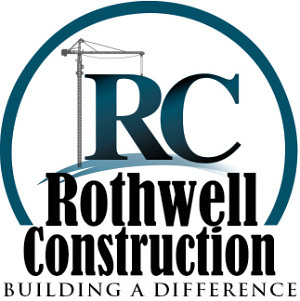 Rothwell Construction is a premier general contracting firm located in the Kansas City area. We're Building a Difference! Custom picture framing shadow box needle work. All are welcome to come and pray with us. For more information about our parish community visit our website at www.sacredheartwarrensburg.org or call the parish office 660-747-6154. We also offer a top quality accredited preschool experience for children ages 3-5 years. Click on the PRESCHOOL tab on our parish website for more information. Two retired USAF maintainers making wooden home décor pieces. Established in 2017 in Warrensburg, MO. Shelby Seelinger is a retired military officer and minister. All of his woodworking and scroll saw projects are made on a replica of a late 1800's early 1900's pedal-powered saw. All woodworking products are made of all natural woods and may contain some plywood. Most of the wood is native to the United States. He also uses some exotic wood from around the world (sourced locally). Since these are natural wood products, if cared for properly, they will last a long time and may become family heirlooms. If you have a picture of something you would like made, please send a copy along with your contact information to s2seelinger@wildblue.net. SERC Physical Therapy is an outpatient orthopedic clinic dedicated to empowering and inspiring our patients and employees to reach their full potential. We boast several specialties including sportsmetrics, vestibular rehabilitation, residency influenced hand therapy, and dry needling. Communication is important to us! We strive to keep an open dialog with those involved in your rehabilitaton so we can be effective and efficient with your care. Certified Public Accountants providing financial accounting & consulting srevices, income tax planning & strategic options, payroll specialists & Quickbooks advisors. ShipShape is a family owned and operated business that provides safe entertainment for ALL AGES! We strive to provide excellent customer service by offering quick set up and take down, on time deliveries to fit your schedule and thoroughly cleaned equipment. We are safety certified and dedicated to make your event one to remember. Chain of family shoe stores offering branded shoes at reasonable prices. Carpet cleaning and janitorial services for Warrensburg, Sedalia, Knob Noster, and Whiteman Air Force Base Missouri. Compelled by Christ to rescue and restore young lives, providing homes, families, and theraputic programs. Skypilot Gunsmithing is a full-service gunsmithing shop offering the shooting public top-quality repair, customization, sales and appraisal services for all types of firearms at great rates. We offer $10 transfer fee on firearms plus repairs and appaisals starting at $44 per hour. Give us a call if you want to get that family firearm back in working order or have questions answered about new firearms in your collection. SMC is a full-service, business-to-business distributor for electrical, automation, data comm and industrial/safety products. Snip N Clip of Warrensburg is a locally owned salon that offers cuts, colors, perms, facial waxing, extensions and hair care products! Socket is proud to be the largest local internet provider in Missouri, offering state-of-the-art fiber-optic connections in the Warrensburg area. Soul Song is a specialty gift shop that offers a wide range of perfume fragrance oils, handmade artisan soaps and bath products and an ever-changing assortment of beautiful and comforting home, food and gift items. Spectrum Reach has markets across the country, with teams that know your neighborhood inside and out. Television is alive and thriving. Spectrum Reach is committed to helping you reach your perfect customer, with innovations that empower you to digitally plan and monitor your success in real-time. We make sure you do more than keep up in the advertising space. Our clients are always one step ahead. It's time to stop doing business as usual and start doing business as exceptional. Survival Adult Abuse Center, Inc. Domestic violence shelter which has a 24 hour facility and an outreach office. 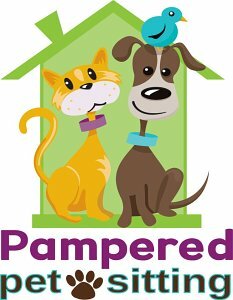 We offer cage-free dog boarding and daycare. Guests will receive loving care by professional dog trainers in a home environment. 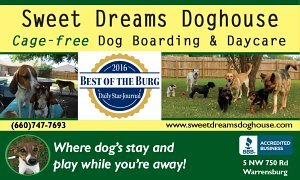 Dogs have access to over an acre fenced backyard and are able to play and socialize with the other dogs vacationing at Sweet Dreams Doghouse. Swisher Brand Products are manufactured with pride in the United States of America. Each product is produced with small town America craftsmanship, striving for the highest level quality standards possible. All Swisher products, the Response Zero Turn Mowers (Max Swisher invented the Zero Turn Concept), Walk Behind String Trimmers (including a new for 2014 Self-Propelled model), extra duty, full I-Beam construction Log Splitters, value leading Trailmowers and Heavy Duty Trailcutters, Poly Dump Carts, and another new item for 2014. The "Bucket Lift ", are all designed to be extremely rugged and dependable offering years of use. Swisher has been a leading manufacturer of Lawn & Garden Power Equipment since 1945. Swisher is also markets a broad line up of ATV/UTV Accessories that include Heavy Duty Plow Blades, multi use Storage Baskets, versatile Spreaders and Dump Buckets, Rack Extensions, and Universal Mounting Kits. Taqueria Habana is a family owned and operated restaurant serving fresh, authentic Mexican Street Food. Publisher of maps, membership directories, community magazines, and visitor guides. Donut Shop/Full Service espresso bar, bakery, prepardedness supplies. The Salvation Army Service Extention provides emergency assistance for utilities, food, lodging, prescriptions, rent and clothing county wide. The Thrift Store hours are Monday-Thursday and Saturday 9 AM - 5 PM, and Friday 9 AM - 6 PM. The Service Extenison hours are 9:30 AM - 3 PM Tuesdays and Thursdays. We are a privately owned boutique that offers beautiful and unique home décor and accent pieces for all types of decorating tastes. Our décor inventory includes wall and shelf décor, mirrors, end tables, shelves, clocks, lighted trees, cabinets and pillows. We also offer many different options for gift-giving for any occasion such as candles, women's totes/bags and novelty items. 7:30am – 10:00pm Monday – Friday 7:30am – 2:00pm Saturday 7:30am – 8:00pm Sunday Full Service Restaurant and Bar Serving Breakfast, Lunch and Dinner Looking for a new location to hold your next event? Check out Traditions at Pertle Springs! As a staple of Mules National Golf Club, Traditions is the perfect setting for a wedding reception, class reunion, business meeting or to enjoy our rotation Friday Night Features from our Executive Chef, Dale McDonald. Traditions has served countless couples, families, and organizations stage their events with a range of culinary options, full-service bar, and a professional event-planning staff. Traditions is committed to making your event a success. Our team of professionals are available to assist you with planning every aspect of your event. Our culinary team has designed a variety of menus to fit a wide range of budgets and tastes, including regional ingredients, University of Central Missouri favorites and specialty items. Should you desire a customized menu for your event, we will be happy to meet with you to create a special menu for your specific needs. Contact Tommy Fatka at (660) 543-8694 for more information. Tranquility Shop offers quality products and gifts to de-stress, provide comfort, and bring you tranquility. Here you will find a unique selection of jewelry, books, candles, pure essential oils, meditation products, clothing accessories, crystals/stones, teas, sleep aids and more! Treasured Blessings carries a variety of home décor & gifts, including personalized/custom items such as cutting boards, name tiles, wood signs, and much more. We feature local crafters throughout the store with their jewelry, cards, wooden toys, and soaps to name a few. Check out our line of Wind & Willow dips and cheeseballs, Merry Mixer Soups, Elsie Grace’s soups and dips, and Ferro’s Gourmet Popcorn. In addition, we also feature Create & Take events (Public & Private) in our Creativity Studio. General & cosmetic dentistry for the entire family. Twister Sports offers people of all ages instruction in cheerleading, tumbling, dance and artistic gymnastics as well as special events and family fun nights! I work in a dual-role position in which I serve as the Communications Coordinator for UCM's Athletic Department and the two businesses at Pertle Springs (Keth Memorial Golf Course, Traditions Restaurant). In my role, I create and execute marketing plans for UCM's intercollegiate sports programs with an emphasis on social media and on-campus engagement while driving sales and membership for Pertle Springs' businesses. University of Central Missouri Athletics offers the best of NCAA-II athletic competition at great ticket prices. We have several special events during the seasons. The "Mo's Maniac" youth booster club gives area youth a chance to be a part of the athletic program and cheer on the Mules and Jennies. For information on tickets and "Mo's Maniacs", as well as updates on all of our athletic teams, visit www.UCMAthletics.com. Ron oversees all golf operations at Mules National Golf Club including tournament operations, lessons, daily play, leagues, memberships, merchandising, course maintenance, and training and scheduling of staff. Produce, shoot & edit local programming and promotional spots for local PBS TV station, KMOS-TV. Assist students with career development and job search. Provide support for businessess interested in hiring UCM students, graduates, and alumni. As the Employer Relations Coordinator, Joni manages all Career Center events such as the Business Industry Govervnment (BIG) Career Expos, Etiquette Dinners, Employer Mock Interview weeks, on-campus interviews, hall tables, and information sessions. She also manages Red Advantage Corporate Sponsorships. The UCM Office of Charter Schools provides oversight for charter schools sponsored by the university in KC. UCM sponsors eight charter schools in the KC urban core serving over 5000 students. I primarly serve as administrator for one of the four academic colleges at UCM. I am also a professor of criminal justice and teach for that department as well. Student newspaper at the University of Central Missouri. I am the coordinator of the Technical Writing minor and the Professional and Technical Writing certificate at UCM. I am interested in learning more about community businesses and their needs for professional writers. An internship opportunity is a key component of the Technical Writing program. The internship takes place each Spring semester in my senior Capstone course and is meant to pair students with a 'real-world' professional writing experience. My hope would be to match students with interested community businesses who are looking to partner on writing projects; such as, grant writing, employee manuals or handbooks, instruction guides, quick-start guides, content for brochures and/or marketing pieces, and so on. The English Language Center provides English as a second language to UCM students, in order to prepare them for their degree programs. University of Central Missouri, Harmon College of Business Administration, Management Dept. The McClure Archives and University Museum is the official repositery for UCM's history, as well as the home to a collection of over 10,000 historical anthropological, and scientific objects. The Archives and Museum hosts several exhibitions a year, performs research services for patrons, and serves as the regional center for learning about cultures. Free and open to the public. The Military and Veterans Success Center provides a one-stop resource center for active duty service members and veterans. Our triad of services focuses on education, mental wellness and jobs. UCM partnered with the Vet Center of Kansas City to provide weekly therapy sessions for our combat veterans. Veteran Service Officers are available weekly. UCM identifies veteran supportive employers to assist veterans in securing jobs following graduation. UCM Supports Our Troops! The mission of the Army ROTC "Fighting Mules" Battalion is to recruit, retain, train, and commission future leaders of the Army and this nation. For those seeking to be officers in the Army, we have 4, 3, and 2 year programs that will get you there. Our graduates serve in the Active Army, United States Army Reserve, and the National Guard. The curriculum in the School of Natural Sciences at the University of Central Missouri is designed with core competencies that will provide you with a knowledge base of scientific principles and methodologies and broad course offerings that provide integration, in-depth study, and an opportunity for specialization within the different degree emphases. Because of the diversity of programs and the wide range of career options, faculty advisors assist you in designing an academic program to prepare you for a specific career path or further study at graduate or professional schools. In collaboration with campus and community partners, the UCM office of Campus Community Health reduces the impact of physical, mental, and behavioral health issues on student success, through the delivery of quality primary care services and the implementation of evidence-informed health promotion strategies. MU Extension’s mission is to improve lives, communities and economies by producing relevant, reliable and responsive information and workshops. Topics that are taught and explored range from youth education in 4-H to nutrition education to financial education to agricultural education and beyond. Whether it's your first home or your next home, Nina is there for you. With a mortgage loan office in Warrensburg, she can help as you determine the right loan product for you. Nina has been in the industry a while and is proud to work for U.S. Bank as a well-known and respected bank brand. In this digital world, there is a lot to be said for a personal interaction and no matter what you need, Nina is just a phone call or e-mail away. To get started call Nina Sisk at 660-429-4506 or e-mail her at nina.sisk@usbank.com. W&S Door and Window Co. The Greater Warrensburg Area Chamber of Commerce create opportunities that drive commerce and promote business. It is a powerful business tool, and a positive link to promote your business in the community. The Warrensburg Chamber of Commerce offers monthly networking events, promotional opportunities and publicity for your business. The quality networking opportunities include monthly luncheons, breakfasts, coffees and business after hours. There are numerous opportunities to market your business with your Chamber membership through ribbon cuttings, brochure displays, welcome bags, web site links and much more. Warrensburg Christian School is a Christian based preschool/childcare program for birth-5 years. We use a state certified preschool curriculum that prepares each child for Kindergarten. 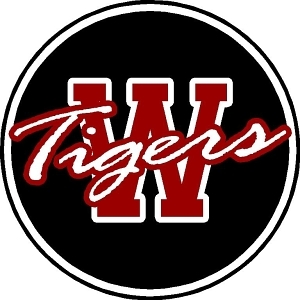 Warrensburg Christian School is a private Christian school for grades Kindergarten through 8th grade. It uses Abeka curriculum. Warrensburg Collision is the premiere full-service collision center serving West Central Missouri. We work on all makes and models, and specialize in insurance claims and can handle the claims process for you. You will be greeted in a clean, spacious reception area. We’ve got the only climate-controlled drive-thru estimating bay in the area where customers are involved throughout the estimate process. You can monitor the repair process online with our AutoWatch program. From a minor scratch to major frame damage, we have the equipment and expertise to return your vehicle back to pre-accident condition. Warrensburg Collision is the premiere full-service collision center serving West Central Missouri. We work on all makes and models, and specialize in insurance claims and can handle the claims process for you. You will be greeted in a clean, spacious reception area. We’ve got the only climate-controlled drive-thru estimating bay in the area where customers are involved throughout the estimate process. From a minor scratch to major frame damage, we have the equipment and expertise to return your vehicle back to pre-accident condition. The Warrensburg Convention and Visitors Bureau was established with the mission to position Warrensburg as a regional tourism and meeting destination with the vision to foster experiences that exceed visitor expectations. We operate the Visitors Center, your one – stop shop for information, so start here! Early-Bird Rotary meets Tuesday's after work at 5:15 PM at Mazzio's Pizza. Our members are dedicated to service to our community and we welcome you to join us. Warrensburg Manor Care Center is a Skilled Nursing Facility located at 400 Care Center Drive in Warrensburg, MO. We provide a variety of nursing services to our community which include long term care, skilled therapy services, rehab to home, and hospice. Our main objective is to provide excellent nursing care. We strongly encourage family involvement with our residents at any time. Come by and see us, we look forward to visiting with you. The Warrensburg Parks and Recreation (WPR) Park System consists of 10 Parks, 402 acres, Warrensburg Community Center, Nassif Aquatic Center, Skate Park, ABC Building, 8 tennis courts, 6 baseball/softball fields, several playgrounds and outdoor shelters. WPR provides recreation programming for all ages in several areas such as: aquatics, sports, health and wellness, general interest, and trips. Annually WPR provides over 400 programs and special events for everyone. West Central Electric Cooperative, Inc.
Advertisement & sponsorship avenue for Whiteman Air Force Base, Missouri. W-ILS is a non-profit organization established to help people with disabilities achieve and maintain their independence. Among the services and programs provided are advocacy, independent living skills training, peer support, accessible ramp construction, low cost accessible transportation, consumer directed services for personal care assistance, assistive technology, and assistance to transition from institutional to independent living as well as from high school to post-secondary education or work. WILS can also assist businesses and organizations with accessibility surveys to ensure ADA compliance. Wired Graphics, LLC provides clients custom printed materials, from printed and embroidered apparel, to vinyl graphics, signs and banners. UCM licensed. Offers prepaid mobile phone service to fit a variety of needs (including unlimited data, family plans, and hotspot service) at affordable prices. Reliable service on a network you can trust and with programs that put money back in your pocket! At Within, we believe in our innate ability to heal ourselves. Our services are designated to help you heal your mind, body and soul. They include energy healings, spiritual counseling, yoga consultation, meditation support and intuitive readings. We are committed to supporting you through guidance and education. We also offer women's spiritual retreats several times a year. Youth Excited about Sports (Y.E.S.) exists to teach the fundamentals of life to youth, incorporating Christian values such as sportsmanship, teamwork, cooperation, fair play and character-building while having fun. Our vision is to create an atmosphere where kids love to learn and have the opportunity to realize their physical, educational and spiritual potential. YES provides quality Christian programs for school-aged children in Johnson County, Missouri. After-school sports camps and education programs will take place during non-school hours: after school, weekends, holidays, and school breaks. Sports, dance, and tumbling programs will be held primarily in the evening. The ball fields and activity center are situated on the same property in order to provide easy access for all programs. YES gives children a fun, safe learning environment highlighted by positive adult supervision. Zaxby’s operates as a fast casual dining restaurant, offering prepared-at-order hand breaded chicken fingers and buffalo wings. They also offer sandwiched, salads, appetizers, milkshakes and kids meals. There are 9 different sauces for your chicken. Customers can enjoy dining in the 90seat Farmhouse, ordering on-line, or using the drive-thru.